We knew he wasn't a Christian. We strongly suspected he was a Muslim. Now we KNOW that he is a Muslim infiltrator, a Marxist one to boot, hell bent on the destruction of America. Now many of his comments and speeches, especially regarding Israel have new meaning and clarity. Yes, this is a bombshell of monumental proportions. 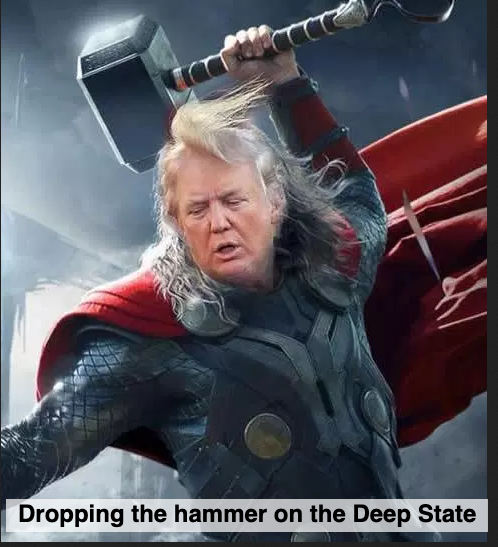 Yes, the media will ignore it. "Birthers" may now be called "Ringers" too. America, you are in a RELIGIOUS WAR, like it or not...and you are losing because you don't see, or seeing, you won't believe. - W.E. 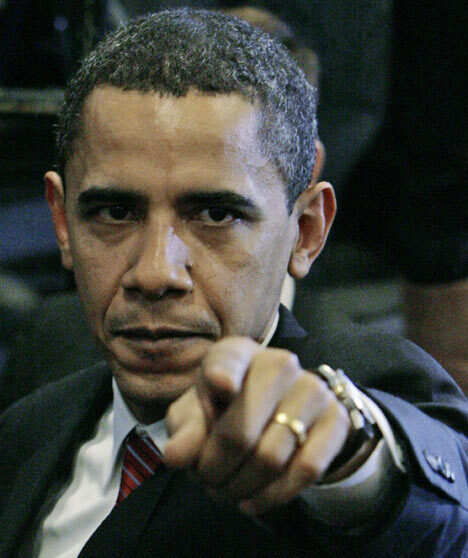 NEW YORK – As a student at Harvard Law School, then-bachelor Barack Obama’s practice of wearing a gold band on his wedding-ring finger puzzled his colleagues. 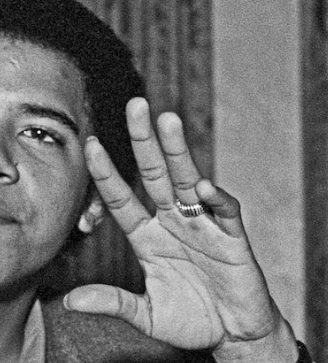 As WND reported in July, previously published photos have shown Obama wearing a gold band on his wedding-ring finger continuously from 1981 at Occidental, through graduation at Columbia in 1983, in a visit to Africa in 1988 and during his time at Harvard from 1988 to 1991. 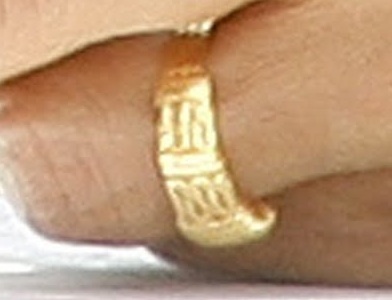 But none, until now, have displayed the ring with enough detail to identify it as the one he currently is wearing. The comment suggests the ring was a subject of student curiosity at the time and that Obama was not forthcoming with an explanation. 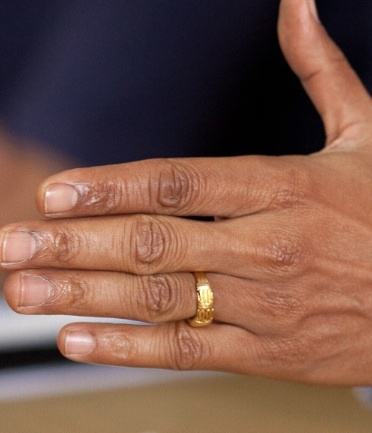 He still has not explained why he wore the band on his wedding-ring finger before he married Michelle. Gabriel, born to Muslim parents in Upper Egypt, grew up immersed in Islamic culture. He memorized the Quran at age of 12 and graduated in 1990 with a Masters degree from the prestigious Al-Azhar University in Cairo, the preeminent Sunni Muslim institution of learning. He explained that on Obama’s ring, the declaration “There is no god except Allah” (La Ilaha Illallah) is inscribed in two sections, one above the other. On the upper section, “There is no god” is written in Arabic letters, from right to left: Lam, Alif, Alif, Lam, Ha. On the lower section is “except god,” written in Arabic letters from right to left: Alif, Lam, Alif, Alif, Lam, Lam, Ha. It is common in Islamic art and Arabic calligraphy, especially when expressing Quranic messages on jewelry, to artfully place letters on top of each other to fit them into the allotted space. 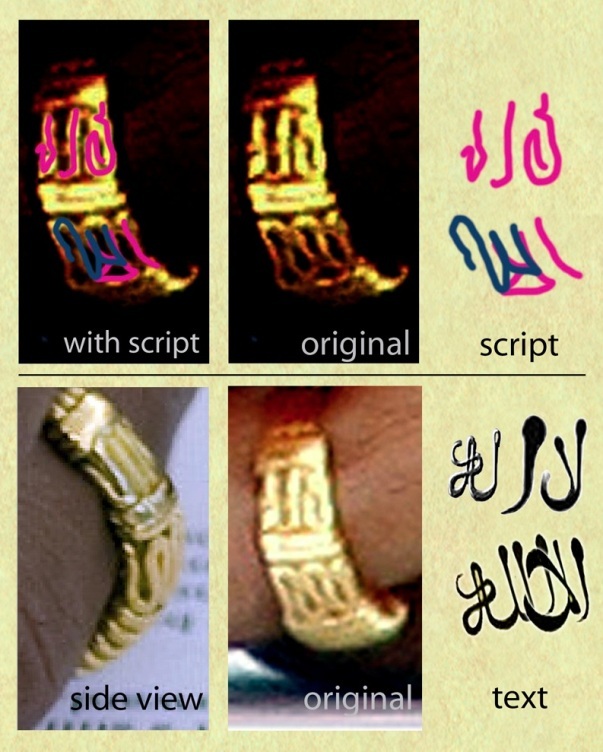 The exhibit below shows how the Arabic inscription fits over the two parts of the Obama ring. In an interview during the 2008 presidential campaign, New York Times columnist Nicholas Kristof questioned Obama about his Islamic education in Indonesia, where he lived from 1967 to 1971. After acknowledging that he once got in trouble for making faces during Quran study classes in his elementary school, Obama recited for Kristoff the opening lines of the Arabic call to prayer, the Adhan. “In a remark that seemed delightfully uncalculated (it’ll give Alabama voters heart attacks), Mr. Obama described the call to prayer as ‘one of the prettiest sounds on Earth at sunset,’” Kristoff wrote. Gabriel told WND that a person wearing a ring with “There is no God except Allah” demonstrates the significance of Islam in his life. Obama, who attended Rev. Jeremiah Wright’s Trinity United Church of Christ in Chicago for two decades, has repeatedly insisted he is a Christian. Gabriel emphasized the importance of the Shahada in the profession of faith in Islam. He affirmed that Muslim men do wear gold rings, despite prohibitions in Islamic law. He noted there is also widespread acceptance of men wearing gold jewelry in non-Arab Islamic societies such as Indonesia, Bangladesh, Malaysia and Pakistan, where Muslims generally understand that Muslims are subject to strong influences of local non-Arab cultures. 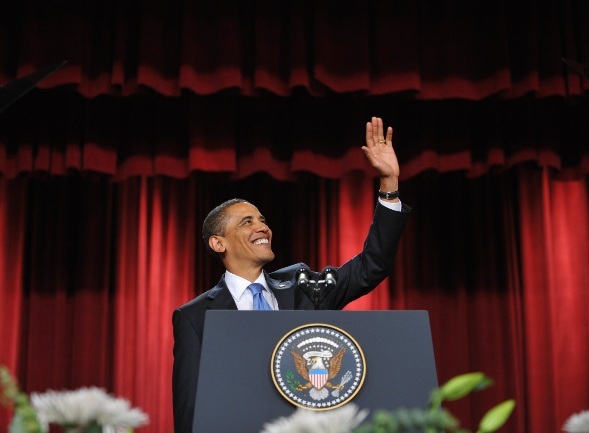 Filmmaker Joel Gilbert, an expert on Islamic history, noted Obama wore the ring during his high-profile speech in Cairo on June 4, 2009, in the first months of his presidency. 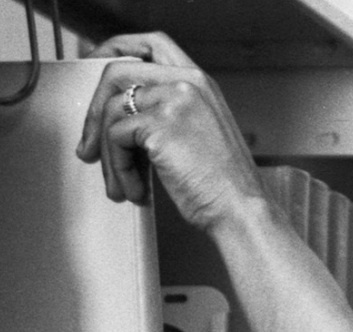 The photographs published last week by New Yorker magazine indicate Obama was wearing the ring at Occidental College. 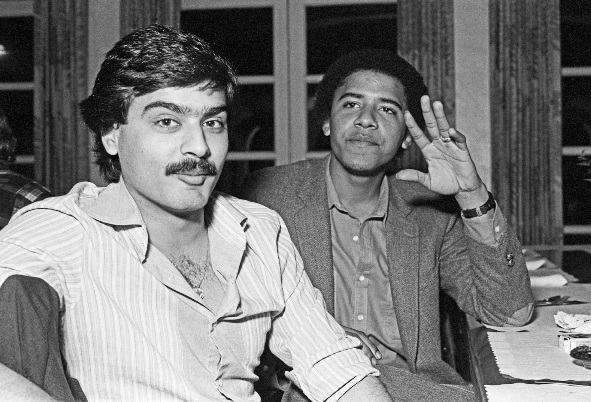 One photo shows Obama sitting alongside Occidental roommate Hasan Chandoo in 1981, apparently waiting for a meal to be served. 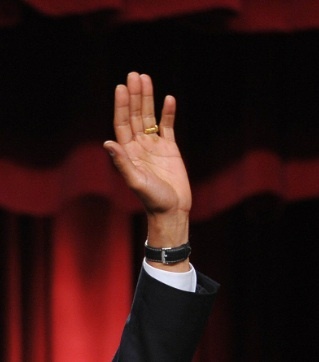 Obama’s extended left hand clearly shows the ring, as seen below. 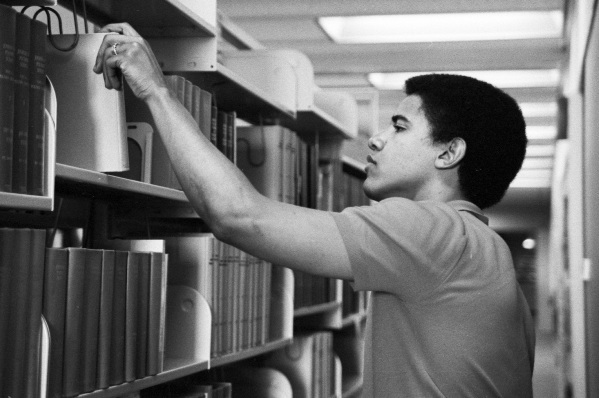 The second of the recently released photos shows Obama reaching for a book from an Occidental College library shelf. A close-up of the library photo can be seen below. n the above photo, the ring’s design can be seen, including a series of parallel bars that distinguish its outer circumference. The ring was mentioned in a New York Times article in 2009 recounting the Obamas’ wedding. In the story, Jodi Kantor described its “intricate gold design,” noting it came from Barack Obama’s boyhood home of Indonesia and was not traditional, like Michelle’s. Just before the Rev. Jeremiah A. Wright Jr. pronounced Barack Obama and Michelle Robinson man and wife on the evening of Oct. 3, 1992, he held their wedding rings – signifying their new, enduring bonds – before the guests at Trinity United Church of Christ. Michelle’s was traditional, but Barack’s was an intricate gold design from Indonesia, where he had lived as a boy. There was no mention in the article that Obama already had been wearing the ring for more than a decade. 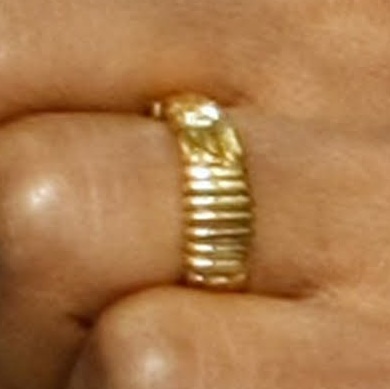 The photos of the ring from the 1980s can be compared with more recent photos, such as the ones published by the Huffington Post in 2010 in an article by Anya Strzemien, “Obama’s ‘Intricate’ Indonesian Wedding Band: A CLOSE-UP,” seen here.